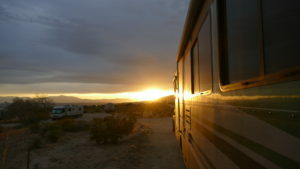 Earlier this month Chris and I went to the Joshua Tree National Park Xscapers (the younger generation of the Escapees RV club) Convergence, and both of us found it to be unique, rewarding, and fun experience! It was our first time doing something like this, and wow, was it welcome. This past year we’ve been too busy (on all levels) to form many connections with new people around our own age. Instead, we’ve been learning the ropes and riding out the ‘speedbumps’ of this ongoing adventure of full-time RV’ing…at times breathless from the whirlwind of it all. Melanie and Travis Carr hosted this event at Joshua Tree National Park, and it lasted for 5 days. There were educational and interesting things scheduled to do each day (informational presentations/ round-tables, hikes, etc. ), as well as a social gathering around a (safe) campfire at night. It was a good environment to have some laughs and great conversations! 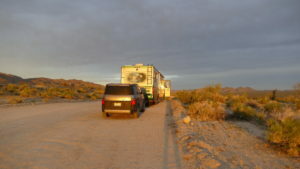 Of course, it takes the right people to make up a good environment, and that’s the RV’er qualities come in. Open, helpful, authentic. These are some of the great traits you’ll find among us, and it’s what’s helps to make us a community. One interesting thing that happened–a bunch of fellow Xscapers saw this meteor and strange lights that appeared in the sky on April 10th ( http://www.amsmeteors.org/2017/04/bright-fireball-over-san-diego-ca/ ). Chris and I were in the motorhome at that time, and missed it! 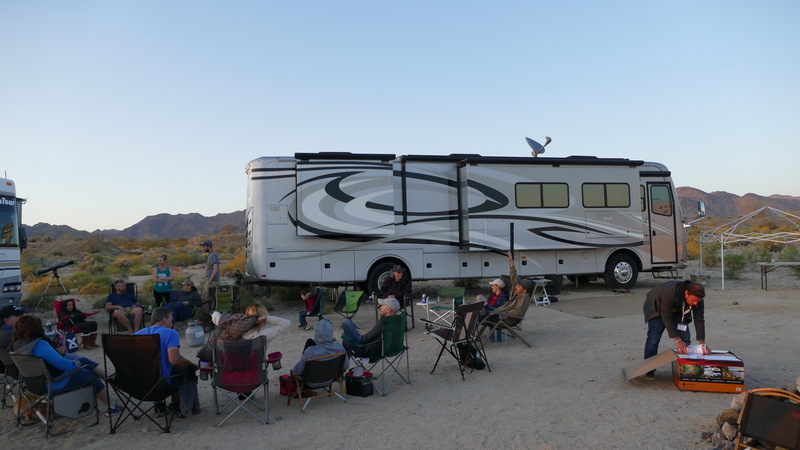 And the Full Moon made for some great ambiance–check out this starry night video of our motorhome, done by the talented Roger Williams (who did photos and video for the event)! We also met Sonja & Tim, an RV couple who run a successful internet marketing business right from their motorhome, and we filmed their awesome setup. We’ll be on the lookout for more Xscapers gatherings in the future! Thanks again, Travis & Melanie!